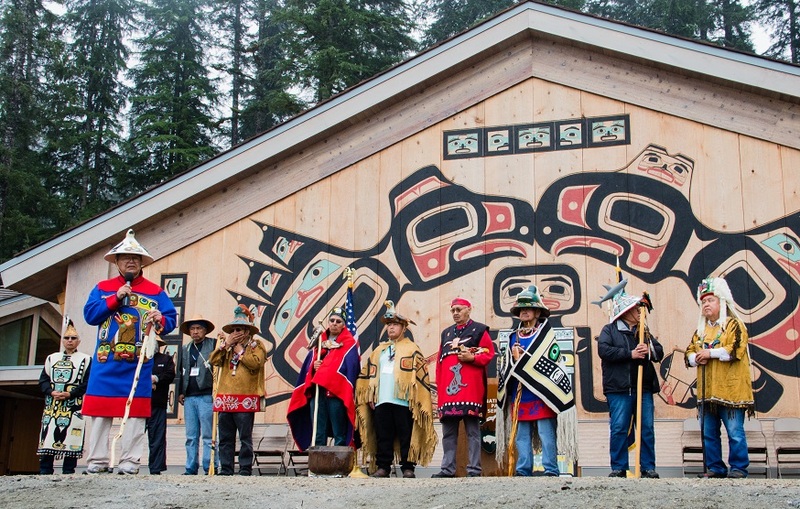 To get the most out of the Alaska Native Heritage Center, taking tours is the best way to go. The Alaska Native Heritage tour is $159 and you will either be picked up from your hotel or head to the Salmon Berry Tours office. This tour comes included with an admission fee and a four-hour tour. You will also be outdoors for an hour and a half and snowshoes are included if you’re visiting during the colder months. This tour begins in the Hall of Cultures, where an exhibition of every major indigenous group in Alaska is featured. Then you take a guided tour around Lake Tiulana and learn about the different artifacts of village sites. At the end of the tour you get to watch a film presentation and enjoy some traditional tea. There is also a two hour guide instead of four at the Alaska Native Heritage Center which is $49 per person. You get to see Bootleggers Cove, Lake Hood, Earthquake Park, and Flat Top Mountain. However, if you do not want to take long tours, and instead want a regular admission ticket, there is that as well. For adults, that admission ticket is $24.95, seniors and military get a discount for a price of $21.15, children aged 7-16 are $16.95, and children under 6 years old are free. If you are traveling in a group of 20 people or more, each ticket admission is $20.00. If you do not want a private tour, you can also pay $5 extra for an audio tour on an iPod touch. Many options are included when visiting the Alaska Native Heritage Center, but neither of those options is limited in learning about the different major indigenous cultures and artifacts. For private tours, you have to reserve 24 hours in advance. Regular admissions you can buy at the door. Don’t miss out on learning valuable history when you are visiting Anchorage. If you’re staying in nearby Palmer, Alaska lodging, the heritage center is just a short half hour drive from your accommodations.